In 1863, as the Civil War raged, Congress established the National Academy of Sciences (NAS), an honorary society of scholars that any government department could call upon to “investigate, examine, experiment, and report upon any subject of science or art.” In 1916, during another war, the NAS created the National Research Council to draw on the expertise of a wider scientific community. The NRC enlists committees of the nation’s top scientists, engineers, and other experts, all of whom volunteer their time to study designated issues and provide scientific and technological advice for policymaking. 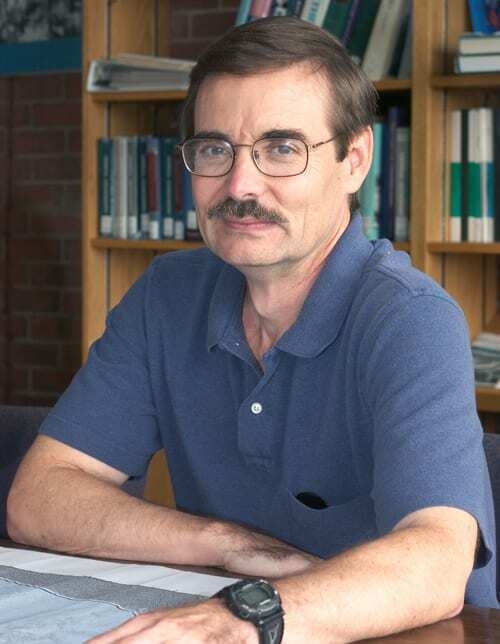 In 2008, the NRC responded to a request by Congress to establish a committee to investigate an issue that has become a political battleground: “the serious and sweeping issues relating to global climate change.” Ray Schmitt, a physical oceanographer at Woods Hole Oceanographic Institution, was among some 90 experts in science, economics, law, industry, energy policy, and others who in May issued a new report, America’s Climate Choices. 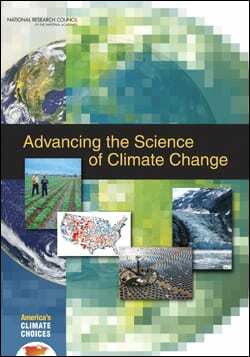 The report emphasized that the United States should act now to reduce greenhouse gas emissions and called for a new era of climate change science that not only improves understanding of the causes and consequences of climate change, but also offers strategies for local, regional, national, and international decision-makers to limit and adapt to climate change. Oceanus: How is this report different from what we’ve heard before, particularly the controversial Intergovernmental Panel on Climate Change (IPCC) report of 2007? Schmitt: I think we stated the facts more assertively than other reports. Scientists tend to offer very qualified statements, and they’ve been relatively conservative on the subject of climate change in the past. We were not conservative. We did not equivocate. We came out with definitive statements about where change is necessary. From our perspective, climate change is not a theory. It’s going to happen. It’s happening right now. I’d say our approach for the entire report revolves around the notion that you can’t populate the planet with 9 billion people and expect the environment not to notice. Oceanus: Your report also includes much more recent research than the IPCC report, which is based on research from 2005 and earlier. Is that a significant difference? Schmitt: It seemed like every week there was new information being published in the scientific journals. In our bibliography, we have more than 1,100 references, and more than half of them have been published since 2006. I found all of the research sobering. For example, the projections from the IPCC report said that sea levels could rise by a foot by 2100. In the last three to five years, a number of papers have come out saying that it looks like the rate of melting of the icecaps is a lot faster than had been anticipated, and that we could easily get a sea level rise of 3 to 4 feet by the end of the century. 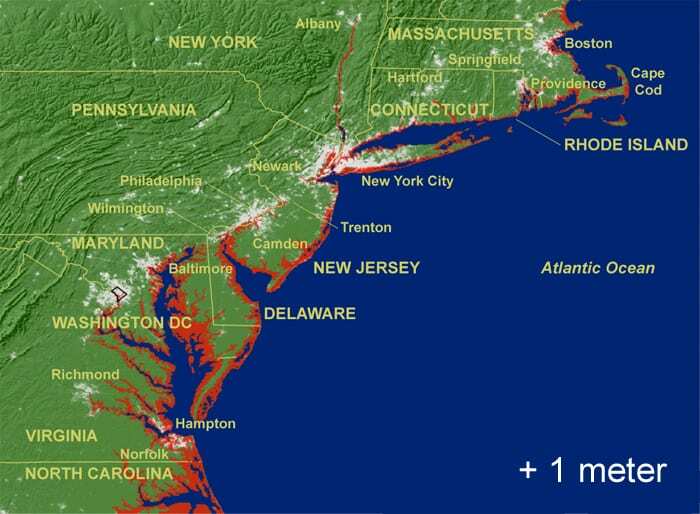 A foot of sea level rise we might be able to live with; but 3 feet of sea level rise is a big problem for a lot of people. 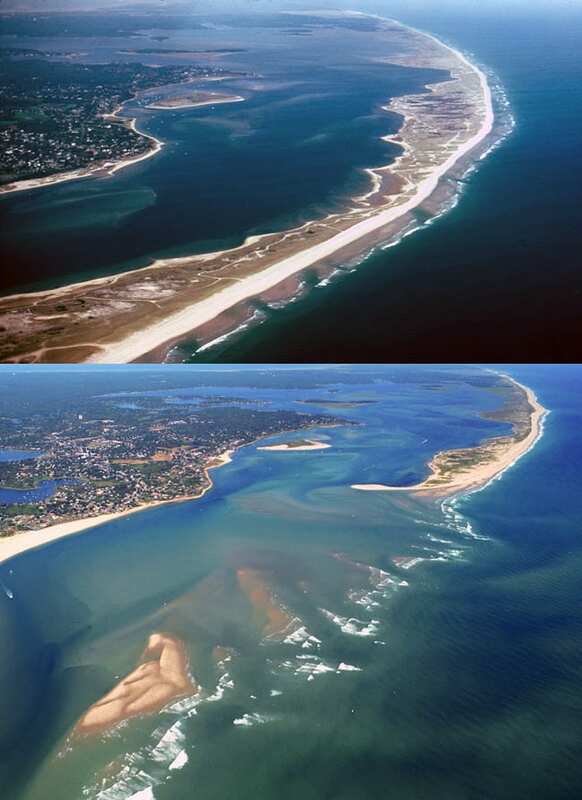 Oceanus: Besides shoreline erosion, what are some of the problems that would come along with sea level rise? Schmitt: Probably the big change would be how far storm surges come into land. That will just get worse and worse. 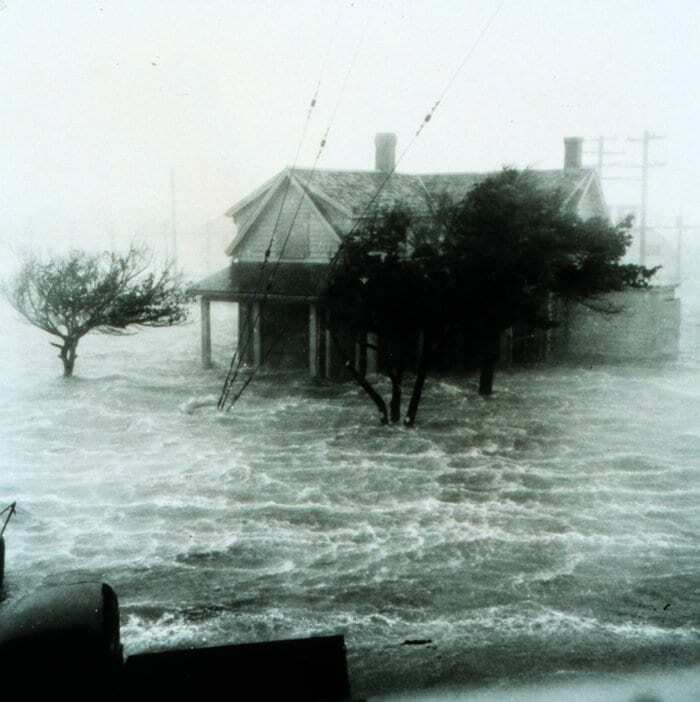 When you get a storm, the surge is a combination of storm winds, low pressure, tides, and sea levels. With a big rise in sea level, all of a sudden you’re in much worse shape than you would have been without that sea level rise. The sort of flood that would only happen every 100 years, now might happen every 10 years. The sea level problem is much bigger than I had thought. That’s not so much my problem as it is a problem for my children and grandchildren. It’s not just low-lying Pacific islanders that are at risk anymore. Anyone who lives in coastal areas will feel tremendous impacts. Here in Woods Hole, the drawbridge will be in the water at high tide. Oceanus: Did other findings of the report surprise you? Schmitt: Another thing that surprised me was that it’s not just CO2 that’s increasing in our environment, that a number of other greenhouse gases are, as well. Methane, in particular, is contributing a bit more than you think. And it all presents problems for the Earth’s water cycle. As the environment warms, the atmosphere’s capacity to hold moisture increases. That means the planet’s water cycle will speed up, and dry places will get drier and wet places will get wetter. Such changes in the water cycle will have enormous impacts on society. One aspect of interest for oceanographers is the enormous heat capacity of the ocean. Ninety percent of the heat from global warming has gone into the ocean, so the ocean has saved us so far from a lot of our sins. But it can’t save us forever. We’ve heard this before but now, more than ever, the situation seems dire. Oceanus: What are our options? How do we deal with it? Schmitt: We can do four things: We can do nothing and suffer; we can adapt; we can mitigate, using geoengineering to treat the problems, or we can try to reduce the CO2 and avoid all these problems. To do that, we would have to change our economy. People talk about it being too expensive. That’s kind of a ridiculous argument. You’d just have a different economy. We could be developing solar energy, wind energy, wave energy from the oceans. And we could do it. There’s plenty of energy around. I’m a physicist; I see energy all around me. And I know we waste huge amounts of it. We don’t have to be doing this fossil fuel thing. Individuals make decisions based on their own economic situations. But government can set policies so that it’s economically favorable to choose environmentally favorable options. The policies can be phased in over five to 10 years. People will plan for them and build the infrastructure to deal with them, and the economy will adjust. For example, putting a penalty on burning coal so that it would pay to switch all coal plants to natural gas, which produces half the carbon emissions for the same amount of energy. That would be a good step. But if the senators from the coal-producing states are in control of appropriations, it’s a tough political fight. But we’re scientists, we can’t get into politics. Oceanus: Did the report address that? Schmitt: Anyone who looks at this problem would conclude that citizens all over the world have to support this effort. The U.S. can’t do it alone. A main recommendation of the report is that you have to put a price on carbon. The report suggests we need to embrace a greenhouse gas budget, that is, the notion that there’s only so much CO2 we should allow ourselves to emit by a certain date. That’s a worthwhile idea, and there are lots of ways of getting to that budget. Our report calls for research on biofuels, alternative energy sources and other types of technologies, such as wind farms, ocean energy, geothermal energy and more. How feasible are these? What will they do to the environment? These are some of the questions we ask. Oceanus: What other major recommendations does the report make? Oceanus: Who do you expect or hope will read the report? Schmitt: It was commissioned by Congress, so we’re hoping that congressional staffers will read it. We know Congressmen never will; they’re too busy. But the hope is that congressional staffers will take it seriously and use it to justify legislation that they may be writing. Basically, we’ve compiled the evidence for people who do want to make changes to legislation or for policymakers—people who are, say, the water system manager for Los Angeles who has to take information like this into account and decide, ‘Well, how much water storage do we need?’ or ‘Should we build water storage facilities to compensate for increasing droughts?’ Or the harbormaster in any little town, who has to plan 20 to 30 years in advance how to adapt to sea level rise. Oceanus: Those examples are local or regional; many people look to the federal government to take the lead. Schmitt: Some of the states, such as California and Massachusetts, are ahead of the federal government on taking action to deal with climate change. It seems like Congress is so polarized these days, they can’t accomplish anything. Our report is just one more piece of evidence trying to get Congress to do the right thing. Oceanus: What has the response been so far? Schmitt: I’m sure everyone at the NRC was hoping that when we released these reports, there would be a big splash and some media attention. 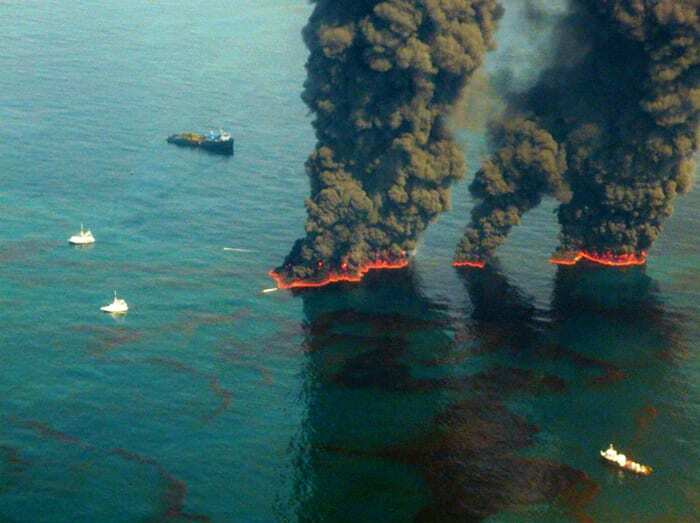 Of course, the reports have become back-page news because of the BP oil spill. It’s hard to get the body politic to pay attention to things that have a long time horizon. People have more immediate priorities. Nobody wants to think long-term. Oceanus: Do you have any suggestions on how to get people and policymakers to think long-term? Schmitt: I think two recent events, the mine explosion in West Virginia and the BP oil spill, are very visible manifestations of the cost of fossil fuels and the impact of our addiction to fossil fuels on the environment. 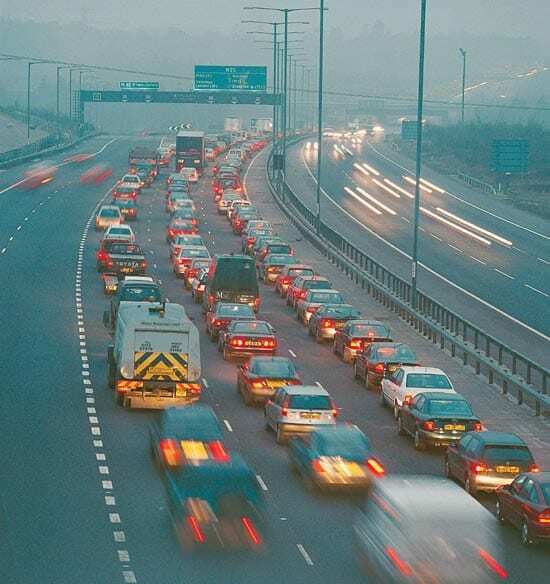 In both cases, people died, and that’s a much more visible result of these issues than the slow inexorable pollution that’s arising from carbon dioxide. We can’t see the carbon dioxide, but it’s going to have a huge impact on future generations. If we can leverage the more tangible examples to help raise awareness about the importance of focusing on the less tangible ones, perhaps we’ll actually start to change the way people think about dealing with the pollution of the atmosphere and how it’s going to affect the planet. The thing that is really frustrating for a scientist is how the climate change deniers think we’ve got some political agenda. It’s just wacky. We’re not an advocacy group. We’re just telling them the facts: this is what’s happening now, and based on simple physics and chemistry and biology, this is what’s going to happen in the future. It’s not some liberal agenda; it’s the facts. It’s what nature’s dealing out to us. 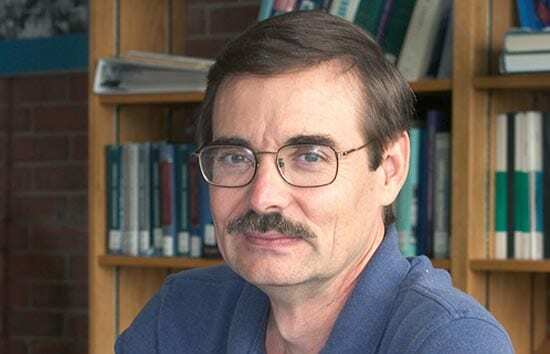 WHOI oceanographer Ray Schmitt contributed to Advancing the Science of Climate Change, one of the reports issued recently by the National Research Council's panel on America's Climate Choices. Watch this video to learn about America's Climate Choices from the experts who worked on it. Read a summary of the report WHOI oceanographer Ray Schmitt helped write. Ray Schmitt's site about the global water cycle. The site offers information on the exchange of water between various parts of the Earth system, the importance of the world ocean, and potential effects of climate change on the water cycle.